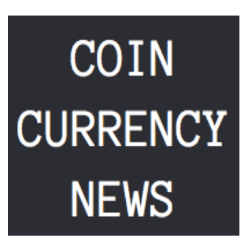 Coin Currency News is establishing a small coins purchasing system with Paypal. We are willing to work with people who want to exchange their coins for USD, or Canadian Dollars. We are currently operating on a small-scale after being notified that there in an increased demand for this service. To begin a trade, simply email robert.chernish@gmail.com with the cryptocurrency you want to exchange, as well as the number of coins, and you will receive an email with a pricing offer asap, as well as an address to send the coins. Please include your paypal address when you send the email. Presently, we are open to offering the best possible prices, but more importantly, want to provide a service for people looking to exchange into fiat without going through large scale exchanges. We are also open to accepting a range of other cryptocurrencies, as well as providing exchange services for fiat to crypto. Please email robert.chernish@gmail.com to exchange your coins today. This system is built on trust, and as our readers and shareholders know, we have been running a very reputable site for over 3 years and don’t want to screw anyone, simply develop the system and help its users grow.